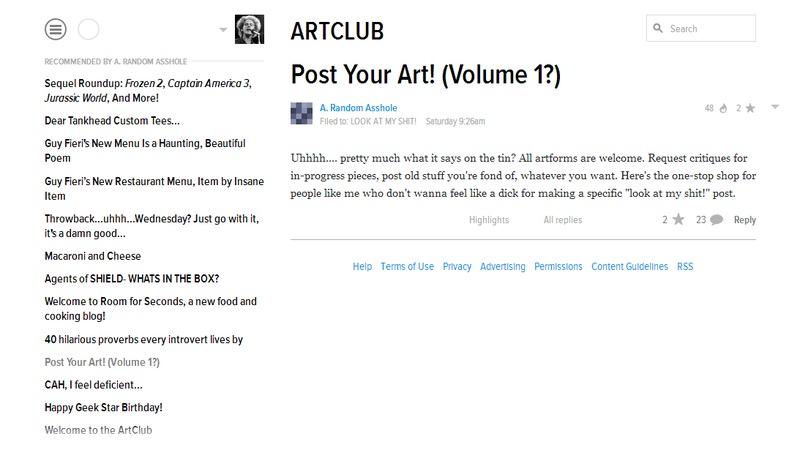 I'm having mixed results getting to the comments on this Artclub post. Sometimes they're not there, another time I was having a fine conversation, and at least once I got a Kinja error message telling me I wasn't allowed at that page. Also, when I get to the post page that's empty of comments, my hamburger icon is grey.